A real family adventure, contrasting historic cities with mountain activities, and whale watching with bear spotting. Beginning in the charming city of Montreal, you then have time to enjoy the lovely mountain resort of Tremblant, before heading north to the whale watching base of Tadoussac. Your holiday will end with a stay overlooking the stunning Lake Sacacomie where you can enjoy the watersports and wildlife. We have thought-out this tour with families in mind, ensuring the driving distances aren’t too long and the hotel stays are not too short. The pricing is based on two adults and two children with an SUV vehicle, but we can adapt your holiday for any combination of adults and children, and add hotels at the beginning or end of this tour if you would like to extend your holiday. 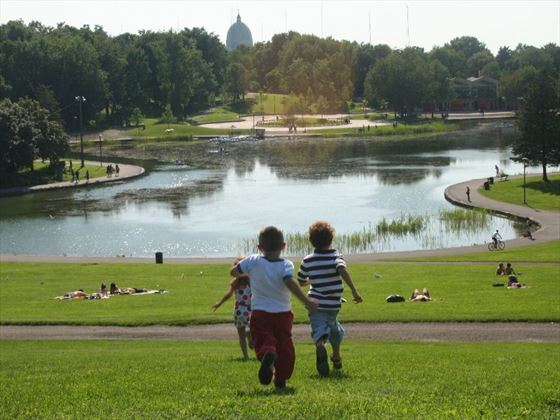 A wonderfully family-friendly city to visit, Montreal has a laid-back charm. Either sedately wander the Parisian-style streets of Old Montreal or get the adrenalin running with a trip on the new zipline in the Old Port. Or if you have a need to shop, then head to Rue Ste Catherine, where you will find a great range of stores. Art buffs should visit the Museum of Fine Arts, which is renowned for its world class exhibitions. 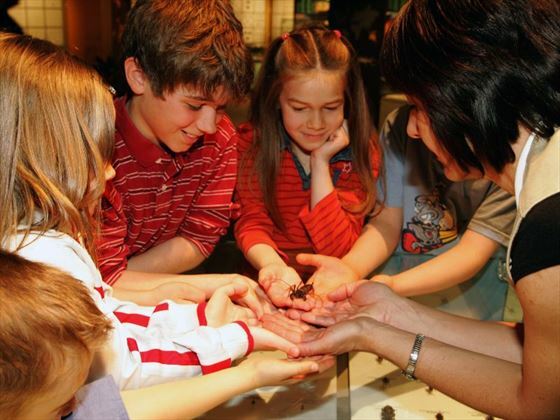 But you might prefer to enjoy some fresh air in the award-winning Botanical Gardens where the youngsters will find the Insectarium fascinating and delight in the BuzzGround play area. 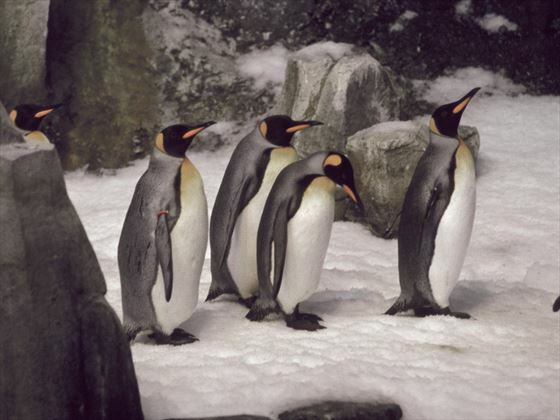 The Biodome is nearby, a former Olympic velodrome turned nature museum which recreates the different ecosytems of the Americas, including a Tropical Rainforest and the Sub-Antarctic zone comes complete with penguins! Head for the hills and the popular year-round resort of Tremblant. This pedestrianised village has a fabulous range of activities on offer such as biking, hiking, kayaking, zip-lining and rock climbing. You will be checking into the Hotel Ermitage du Lac for the next three nights, giving you plenty of time to enjoy the outdoor swimming pool and hot tub in this comfortable hotel nestled between two lakes. There are plenty of outdoor pursuits to choose from in and around Tremblant – try out the exhilarating zip lines and rope courses. There are several golf courses nearby for you to enjoy 18 holes or there's mini-golf for the youngsters. 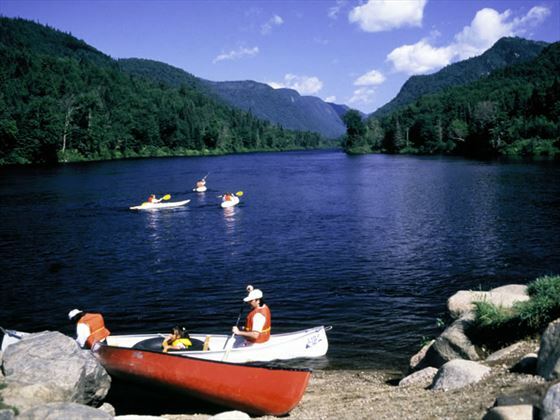 You can book a fishing trip on Lac Tremblant, and the more active could kayak around the lake. Enjoy the scenery from the Panoramic Gondola or take a faster route down the mountain on the Skyline Luge – a fun-filled ride on a three-wheel-cart. A day at the Beach and Tennis Club will give you access to the sandy beach of Lac Tremblant and a swimming area with lifeguards, beach volleyball, tennis, plus beach chairs for you to sit back in after all your exertions. 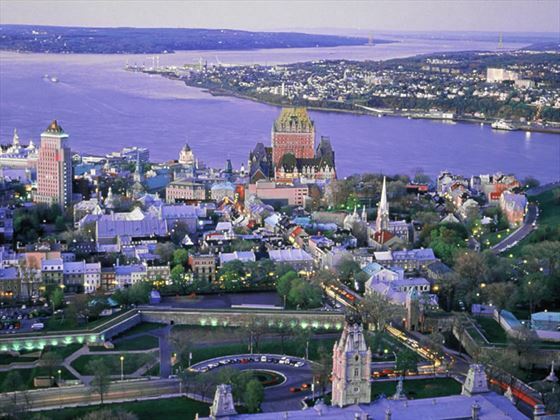 Today you will drive to historic Quebec City – the only fortified city in north of Mexico. Your home for the next couple of nights is the Delta Quebec City, just a few minutes walk away from the old town and featuring an outdoor swimming pool. A full day to soak up the atmosphere of Old Quebec with its lovely little streets and friendly locals. Whilst here you must try the local snack of “poutine” – chips with gravy and cheese curds! If you want a more sophisticated meal, then indulge in afternoon tea at the spectacular Chateau Frontenac, or go for a crowd-pleasing crepe at one of cities many creperies. 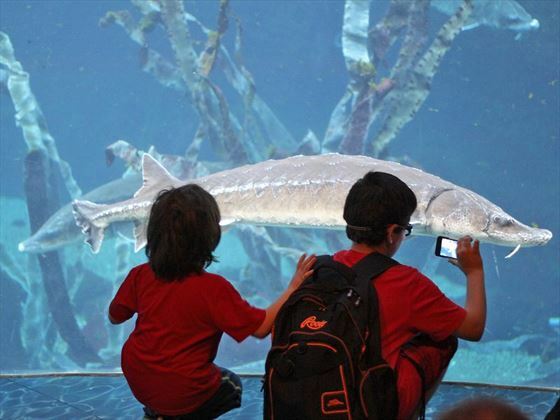 An open top bus tour will introduce you to the fascinating history of this city and there is an excellent aquarium to visit. 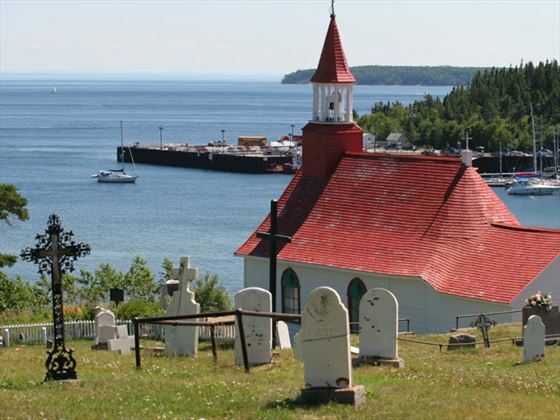 Drive north to the tiny village of Tadoussac on the St Lawrence river, renowned as a whale watching destination. Check-in to the Hotel Tadoussac for two nights, and then stretch your legs with a walk around this charming town or along one of the picturesque coastal trails. There is a choice of restaurants in the hotel, or you may prefer to explore the town where you will find a variety of atmospheric cafes and restaurants catering to most tastes, including some excellent seafood restaurants. 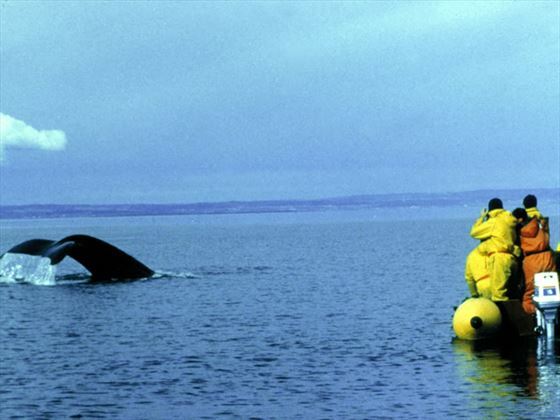 A free shuttle service is offered by the hotel to go on one of the whale spotting tours. Cruise out into the St Lawrence estuary to find these magnificent creatures in their natural habitat, either close to nature in a Zodiac or in the relative comfort of one of the small ships. You can also cruise into the beautiful Saguenay Fjord to see the striking beluga whales which inhabit this region, perhaps choose a cruise combining both. On your return, those who still have plenty of energy can enjoy the on-site outdoor pool, mini-golf and games room, but those who need energising can retire to the spa. Today head south to the edge of the spectacular national parks of Quebec. Your base for the next three nights is the Hotel Sacacomie overlooking the stunning Lake Sacacomie. All rooms have either lake or forest views, and you can spend time swimming from the private beach, canoeing, pedal boating or walking the 65km of hiking trails. Enjoy the many activities in and around the hotel, such as exploring Lake Sacacomie aboard a motor launch or take a guided trip in a 12 person canoe in the style of the 17th century fur trappers. Towards the end of the day as sunset approaches, go on a Bear and Beaver Observation Tour, in an all-terrain vehicle with a trapper guide. Alternatively, you can take the short drive into the national park and explore the natural beauty of this stunning province.